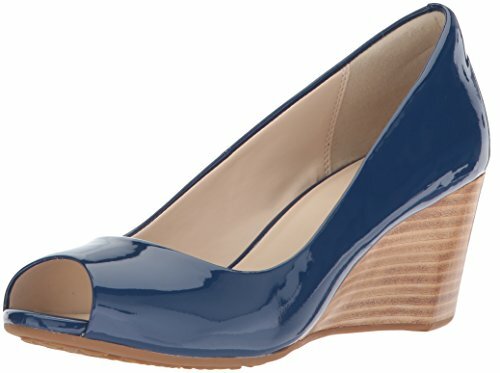 Cole Haan Women's Sadie Open Toe Wedge 65MM Pump, Navy Peony Patent, 7 B US | What Should I Say? Sadie takes your wardrobe to stylish new heights and instantly adds a comfortable lift to smart casual. This open toe style brings delight to wrap dresses and tailored pants alike, while our Grand.OS technology provides the ultimate cushioning at the office and beyond.